Neal Stephenson follows his international bestseller, the WWII thriller Cryptonomicon, with a novel set in the 16th and 17th centuries, in a world of war, scientific, religious and political turmoil. With a cast of characters that includes Newton, Leibniz, Christopher Wren, Charles II, Cromwell and the young Benjamin Franklin, Stephenson again shows his extraordinary ability to get inside a place and time; as he did for the futures of his science fiction (Snowcrash,The Diamond Age) and for WWII (Cryptonomicon), here he does for the England of the Civil War and the Europe of the Wars of Religion and the Scientific Revolution. 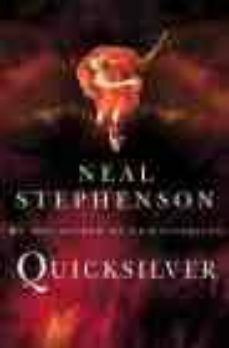 Quicksilver is yet another tour-de-force from a writer who is simply unique.